Published 21st May 2015 by Windmill Books. Goodreads Synopsis: When Oliver ‘Boo’ Dalrymple wakes up in heaven, the eighth-grade science geek thinks he died of a heart defect at his school. But soon after arriving in this hereafter reserved for dead thirteen-year-olds, Boo discovers he’s a ‘gommer’, a kid who was murdered. What’s more, his killer may also be in heaven. With help from the volatile Johnny, a classmate killed at the same school, Boo sets out to track down the mysterious Gunboy who cut short both their lives. In a heartrending story written to his beloved parents, the odd but endearing Boo relates his astonishing heavenly adventures as he tests the limits of friendship, learns about forgiveness and, finally, makes peace with the boy he once was and the boy he can now be. My Review: As soon as I’d read the synopsis for Boo I knew it would be my kind of book – it reminded me of an old favourite anime series, Angel Beats, which is about a high school that deceased teenagers find themselves at. The ‘heaven’ in this book is quite different, though shares similar themes, so I was really interested in reading Boo. Boo is the nickname of the protagonist, Oliver – who wakes up in an afterlife consisting only of American 13 year-olds like himself. He thinks he’s died of a heart problem in school – but when he finds his sort-of friend there with him, Boo has to track down who killed them. The story is very dark and unnerving at points – but is also unexpectedly a heart-warming story about the bonds people make. 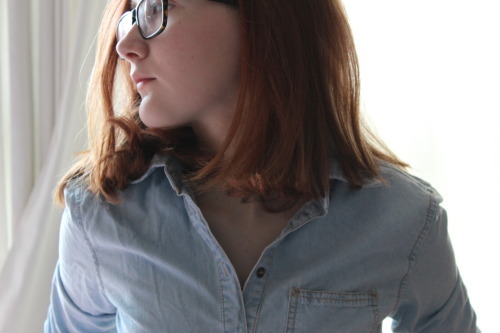 I couldn’t predict a single thing about the plot – it turns in ways impossible to imagine. The ‘reveal’ was abrupt and shocking. There’s no way I could’ve guessed it, but as soon as I finished the book I was wondering how I’d missed it! It definitely sent a chills through me, though. Neil Smith’s imaginative ability is admirable. His version of heaven in Boo felt completely individual and was the perfect backdrop for the mystery plot. As fantastical as it was, it seemed so real: Each uniquely crafted character of the strangely bound community seemed to jump from the page, brimming with personality. The main protagonists were incredibly memorable. Oliver is a slightly awkward thirteen year-old, who is more engrossed in his science fascination than anything else. I saw a little of my thirteen year-old (and current…) self in him and his voice grabbed me from page one. I’m sure I say that the voice stood out about a lot of books I read, but Boo was just different. The narrative was flawless to me and I felt Boo’s vulnerability and curiosity shine through. Overall, I’d without a doubt recommend Boo. It’s certainly not for everyone, given its disturbing subject – but it’s hard to fault Neil Smith’s writing. His characterisation and narrative were brilliant – as was the plot, which unravelled cleverly. 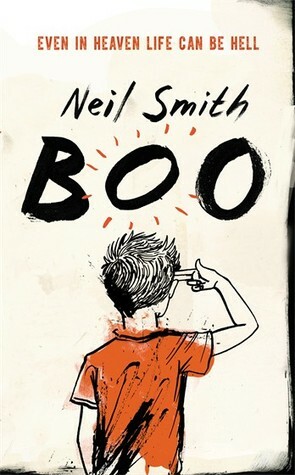 Boo didn’t turn out the simple ghost murder mystery I thought it would be: It was addictive, ingenious and the kind of book that breaks your heart then sticks it back together again. Multiple times. I can see Boo getting a lot of attention! I received a copy of Boo from the publisher, in exchange for a review. In no way at all did this affect my thoughts. This entry was posted in Uncategorized and tagged 2015 debut, 2015 release, boon, fantasy, ghost, heaven, horror, literary, murder, mystery, neil smith, penguin random house, sf/fantasy, thriller, windmill books on May 13, 2015 by keithbwalters.